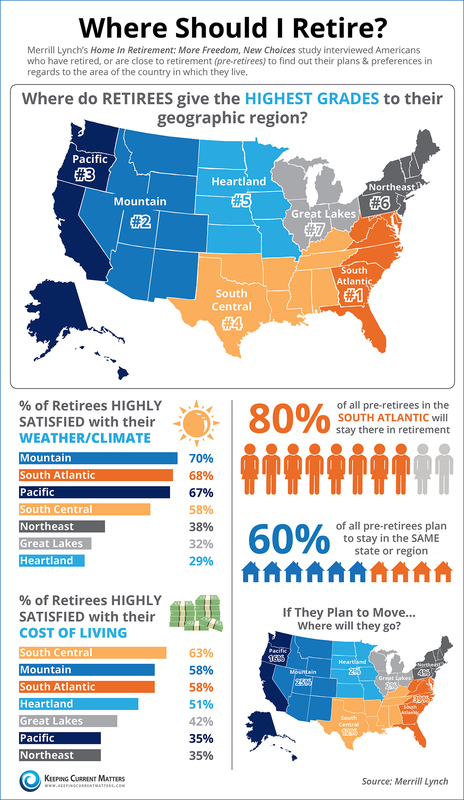 When it comes to retirement, the South is hot! According to a study by Merrill Lynch, the South Atlantic states (stretching from Florida to Maryland) is the number one destination for retirees. A full 80% of pre-retirees already living in this region plan to stay here when they retire. For those around the country planning to move once they reach retirement, the largest percentage (39%) want to move to the Southeast. Check out the infographic below for more interesting statistics. Are you planning to make your home in Greenville? Give us a call and we’ll help you find the right home fast!